This text uses a student-driven approach to fulfill IDEA mandates. It presents a comprehensive program for graduation-track special education students. It focuses on the seven areas mandated by IDEA: Functional assessment, daily living skills, post-school adult living, employment, community experiences, related services and instructions. Each area has a sequence of skills and behaviors written as objectives that teachers, parents and students review for inclusion in the IEP. 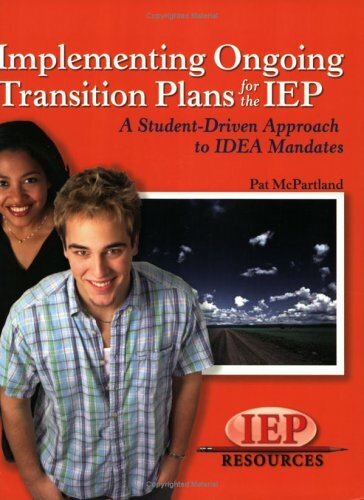 A ready-to-go, yet easy to personalize pre-IEP assessment starts the process. Book has reproducible pages. Includes a CD with printable pdf.